I don’t normally write blog posts specifically for other bloggers but there were a few questions/comments regarding ad networks on my income report. I always figure if one person asks then there are plenty more who are wondering the same thing. I thought I would be able to add this info to my next income report but decided I had too much to say to include it in another blog post. If you’re not a blogger, or don’t ever plan on becoming one, this post is probably of no interest to you. 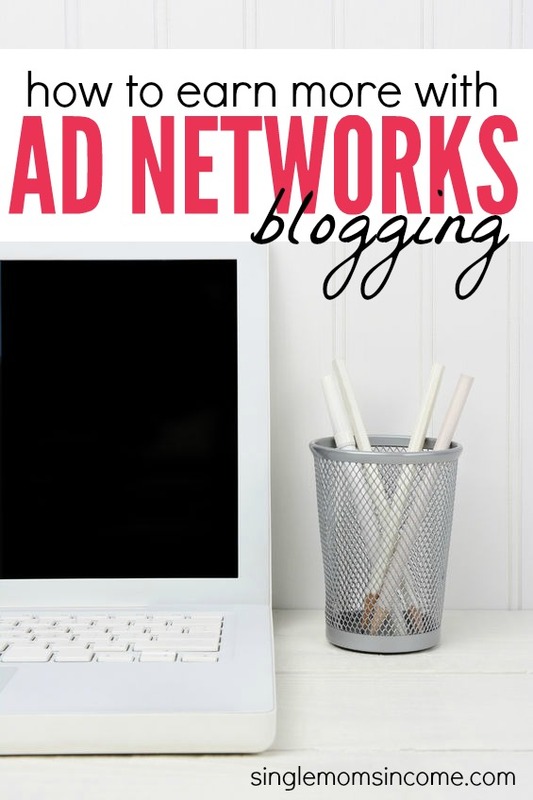 If you are a blogger and want to get your ad network income higher, this post is for you! First let’s go over some basic ad network terms. There are two types of ads I run – CPC ads and CPM ads. A CPC ad is an ad in which you are paid a certain amount of money every time someone clicks one of your ads. The amount varies based on the advertiser’s budget and the competition of the keyword for your ad. When it comes to CPC, the ads that show up on your site are based off of the interests of the site user. For instance, if a reader came to my site searching for scholarships for single moms then she might see a scholarship for mom’s ad on the sidebar and above the post. Since she’s already looking for that type of information there’s a good chance she’ll click the ad and view the advertiser’s website. CPM ads are based off of impressions. CPM means cost per thousand impressions. With these types of ads you get paid a certain amount for having the ads on your site. Nobody needs to click them for you to make money. If you have a low click through rate on your CPC ads then your site might do better with CPM. My site does much, much better with CPC ads like Google AdSense and Media.net. Ad networks were always one of my stronger income sources for this blog even when the traffic was much lower. Since I’ve been able to increase my traffic over the span of the last eight months ad networks have become an even better source of income. 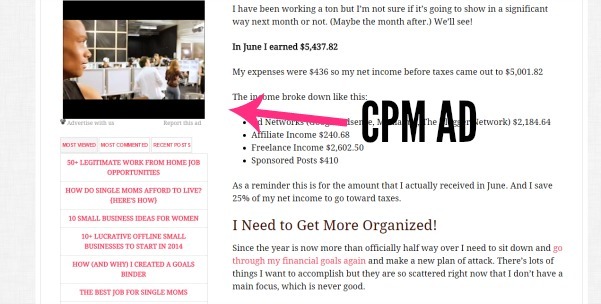 This income was for 145,880 page views on Single Moms Income. When it comes to earning money through ad network income there are a few things that matter. If you’re not in a competitive niche where advertisers are actually spending money then you’re not going to earn much from ad networks. That’s okay though, you can find other ways to monetize your blog. Or you’ll just have to have a lot more traffic to make it work. I kind of cringed when I first started trying to earn more money from ads. If you don’t normally have ads in viewable spots it takes a while to get used to. BUT if you want to earn money from ad networks people actually have to be able to see your ads. And after a while you’ll forget they’re even there. The amount of money you earn from one ad click is nothing to get excited about. But when you get a hundred ad clicks the money really starts to add up. You need to have decent traffic before you start meeting the minimum payments for the ad networks. At the same time if you’re in the process of building up traffic and plan to use ad networks as a monetization source then keep your ads on your site! Secondly, and probably most important, is the type of traffic you’re receiving. 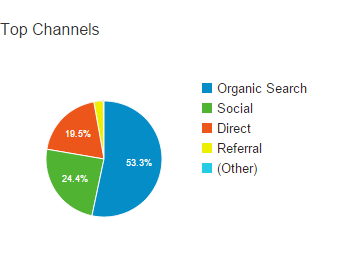 Social media traffic doesn’t normally stick around long. They see your post on Pinterest or Facebook click through, read for less than a minute and go back to Facebook or Pinterest. Social media traffic will increase your bounce rate, lower the time spent on your site, and doesn’t really care about ads. 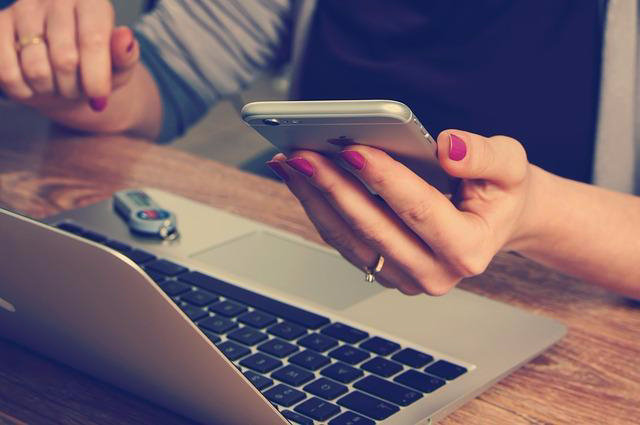 If the majority of your traffic comes from social media CPM ads will probably be better suited to you since the reader doesn’t have to take an action for you to get paid. If you get a lot of search traffic then CPC ads are the way to go, in my opinion. When someone lands on your blog they are searching for an answer to a questions or trying to find information on something. While your blog is answering the questions the ads on your site most likely have more answers. A search user is likely to click on one of those ads since it’s related to what they’re searching for. Just over fifty percent of my traffic, or around 75,000 page views a month come from Google Search. This makes CPC ads work well for me. So in short, to make money with ad networks you need to build your traffic and experiment with ad placements and different ad networks. If you want to increase the amount of money you earn through CPC ads then you need to work on your search engine traffic, which doesn’t have to be as hard as it sounds. I can share more on that if anyone is interested but the gist of it is you need to stop writing about what everyone else is writing about. There’s too much competition and if you’re always writing posts similar to what other bloggers write you’ll never be able to rank for anything. Thank you, Alexa!! You are awesome I will be sharing this with my Facebook group. Personally think you should start a course because you are full of knowledge. Just a thought. 🙂 Have a great week! Thanks for this well written easy to read post. I am a new blogger so I will also be saving this article and taking notes from it. Thank you so much for this clear and concise information. This was all new to me. Do you use a paid service to determine what keywords you might rank for? If so, which one? Also, just out of curiosity…. How many hours do you spend a week working on your blog ( excluding your VA / freelance work)? No I don’t use a paid service. The bad thing is I’m actually paying for one (Long Tail Pro) but I never use it! I just pick keywords based off what I already rank for and by looking at my Google Webmaster tools and seeing what keywords I rank for but have never written a specific article one. I know if I’m already getting traffic for something that I never even wrote that traffic should drastically increase when I have an actual post on that specific subject. And I also just think up related articles to things I already do well with. I’d say I spend 5-7 hours per week on my blog now. (Used to be a lot more.) Freelancing takes up most of my work from home time now. This is amazing, thank you for sharing! I’m still only earning cents a day, but it’s nice to know the ads can really add up! It’s also amazing you don’t spend much time on your blog and it still brings in a nice income! Thanks for this article Alexa. It was very helpful. You certainly know a lot and I look forward to learning more. This post answered a lot of questions that I had. 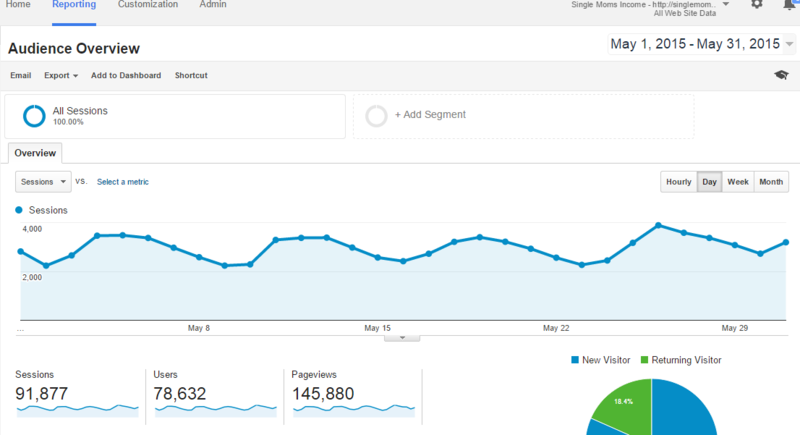 This past week I focused more on keywords and SEO and got more traffic this week. I’m encouraged to stick at it. Great post Alexa. I really enjoyed reading about all these idea “Earn Money From Ad Networks with a Blog” . I think this is good idea of making money through ad networking with blogs. Great aticle and some very good pointers to take on board.! Thanks for this article. I found it helpful to see some other example CPC networks other than Adwords. It’s great timing for me. I’m just getting started on my own blog! I have a blog, use Google Adsense, Amazon and Blue Host for affiliate marketing, advertise on Facebook and Instagram but still can’t make anything more than a few dollars per month. I am darn near in tears and don’t know what else to do! I have spent hundreds of hours reading about other’s success and follow ALL of their tips, yet nothing happens. I would appreciate chatting with you one on one if tha tis possible. Thank you for your time.